When Google Glass was announced back in 2013, it was easy to forgive one of the the first AR headsets for looking awkward and being hard to use. There’s no doubt Google’s first crack at making an optical head-mounted display was ahead of its time. They are a bit thick, but at least they don’t look like alien tech. Of course, the Blade isn’t just the second coming of the Google Glass, as Vuzix has learned important things about what you have to do to make the concept of smart glasses easier to accept. When I visited Vuzix’s booth at CEs 2018, a representative told me that unlike Google Glass, Vuzix went out of its way to make the Blades comfortable, easy to use and most importantly, something that didn’t look ridiculously clunky or awkward—so as to not scare off the general public. This is the best shot of what it looks like to wear the Vuzix Blade. The built-in camera lets you capture POV images and video. 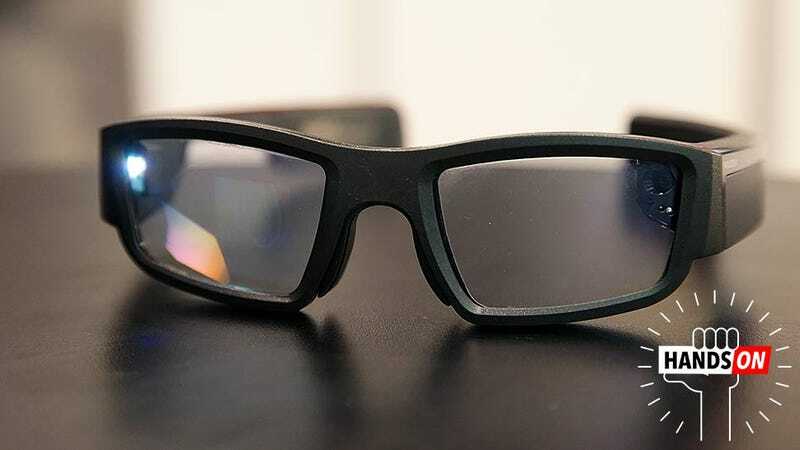 As a trial demo for smart glasses that people might actually want to own someday, Vuzix has finally delivered on what Google Glass showed off almost five years ago. And to be clear, this is all coming from a device that’s still very much in development. 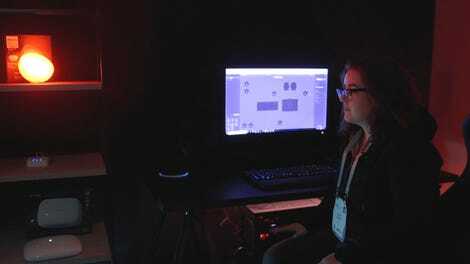 Vuzix is selling some dev kits now, for around $1,800, but the company is hoping to bring the price down to around $1,000 before they become more widely available in late 2018 and early next year. Yes, $1,000 is still bonkers for this kind of tech. But making smart glasses more approachable is incredibly important if gadgets like this ever hope to catch on.